Razvan Cojanu will step in to take on Ricky Hatton-trained heavyweight prospect Nathan Gorman on December 22nd after the late pull-out of Gorman’s original opponent, Alex Leapai. Romanian-born Cojanu was scheduled to fight Britain’s other big heavyweight prospect, Daniel Dubois this Saturday at the Brentwood Centre but due to illness, Dubois was forced to withdraw from the bout. 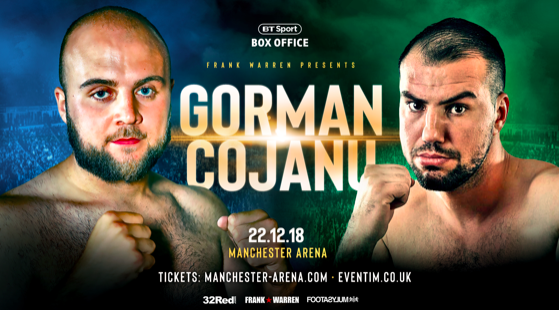 But fortunately for both fighters, Cojanu will now make his way up north next week and challenge Gorman at the Manchester Arena on December 22nd, live on BT Sport Box Office. “I’m disappointed Leapai didn’t get on the plane. He’s given it some bad mouth which isn’t really my style, but in my world, if you are going to do that then you come and have a fight. Words are cheap, maybe he regretted his words knowing what was coming?” said Gorman. He continued: “I thought it was going to be a big let down trying to get an opponent this late but at the very last minute, Daniel’s bad luck has proved well for me; that’s ironic really. “I get to fight a guy who fought for a world title just last year and took Joseph Parker the distance, so he is a better opponent in many respects. IBF world featherweight champion Josh Warrington takes on former two-weight world champion Carl Frampton at the Manchester Arena on December 22nd live on BT Sport Box Office. Mark Heffron and Liam Williams contest the vacant British middleweight title and Belfast’s blue chip featherweight prospect Michael Conlan (9-0) takes on former commonwealth champion Jason Cunningham (24-5). 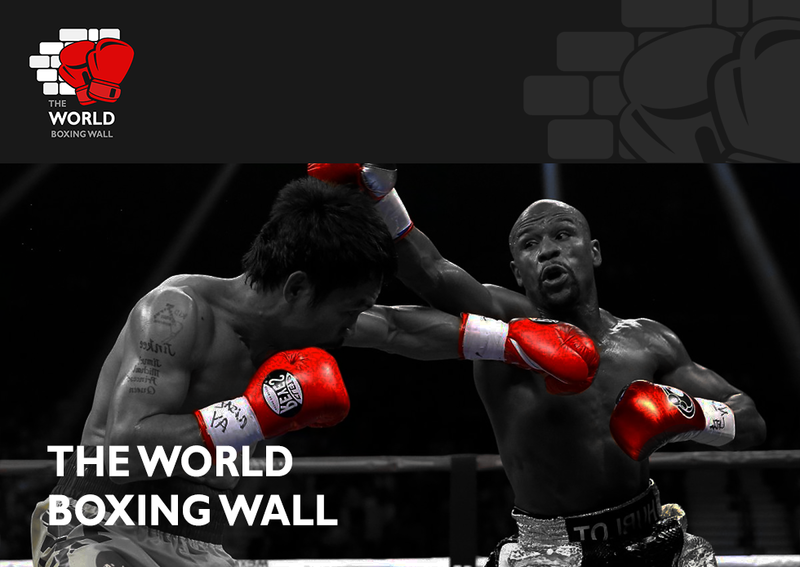 In a step up, Nathan Gorman puts his undefeated record and WBC International Silver Heavyweight Title on the line against former World Title challenger Razvan Cojanu, while Martin Murray defends his WBC Silver middleweight title against Hassan N’Dam. Billy Joe Saunders makes his return to the ring and Tyson Fury’s younger brother Tommy Fury also makes his professional debut. Elsewhere on the bill. World flyweight title challenger Paddy Barnes (5-1) and unbeaten Light Heavyweight contender Steven Ward (9-0) return to action. Manchester’s 12-0 Light Heavyweight Lyndon Arthur and 7-0 Darlington middleweight Troy Williamson also return. Tickets available via Manchester Arena.